Smart TVs have brought in a new era of how you can enjoy your TV. There have been a number of companies that have been turning non-smart TVs into smart TVs. One example of this is Roku. This company is known for making set-top boxes that give Internet and application abilities to TVs that would normally not have them. However, there has been a growing number of TV manufacturers that are moving away from making non-smart TVs. As a result, smart TVs are starting to take over the market and push little set-top boxes out of the picture. If companies like Roku want to stay around, it has to come up with a new way to market its service. For Roku, staying in the game means jumping into TV manufacturing. The company recently announced that it is moving from set-top boxes to making full smart TVs. The TVs themselves are going to be manufactured by TCL and Hisense. These new TVs should finally start hitting store shelves this fall in the United States. Of course, this move was not too shocking. After all, just last year Roku released a public statement saying that it wanted to become the “Android” of the Internet-enabled TV industry. The company wants to become the operating system that everyone uses when it comes to smart TVs. When you are watching Netflix on your smart TV in your living room, Roku wants to know that you are using its operating system. This plan may prove to work since Roku has a leg up on most TV manufacturers. Most television manufacturers know how to do one thing … make TVs. They are not very good at integrating Internet connectivity and operating systems into the TVs. This is something that Roku knows how to do. Sure the smart TVs that are out there today work, but most of them are extremely slow. Roku devices, on the other hand, are easy to use and very functional. This is why Roku is one of the biggest names in the set-top world. The great part about having a smart TV, or the basic idea of one, is to allow users to access all of their favorite TV services on one device. For example, if you have a Wii U, you are able to access Netflix, Amazon Instant Video and even Hulu. However, you do not have access to other services like Vudu. 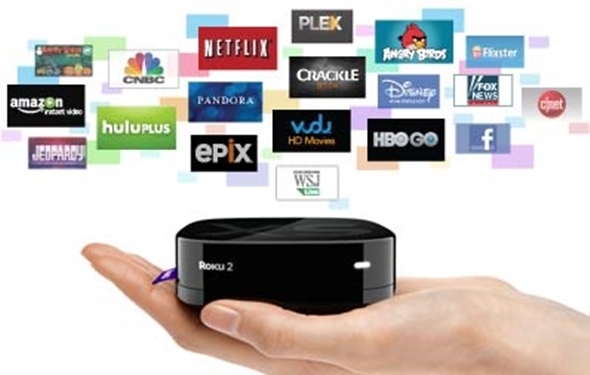 Devices like Roku are designed to give you access to all of these services in one place. In short, the company wants to earn a spot in your entertainment center. There are only two questions that people really have about the new Roku TVs. First, how good are the TVs going to be? After all, Roku has never been in the TV manufacturing business. That being said, Roku is not the one really developing or manufacturing the TVs. Thus, this really seems to be a non-issue. Last, but not least, how much are Roku OS TVs going to cost? If they can make the price affordable to everyone, then Roku may make a huge splash in the TV industry.